Coding isn’t just about spending hours in front of a screen – the foundational concepts of coding can be learnt through play! Curiosity is at the heart of learning through play. John (our founder) elaborates how and why our philosophy and pedagogy are deeply rooted in purposeful play in an earlier blog article here. And that’s why we’re always looking for exciting hands-on activities specially for our little preschoolers! 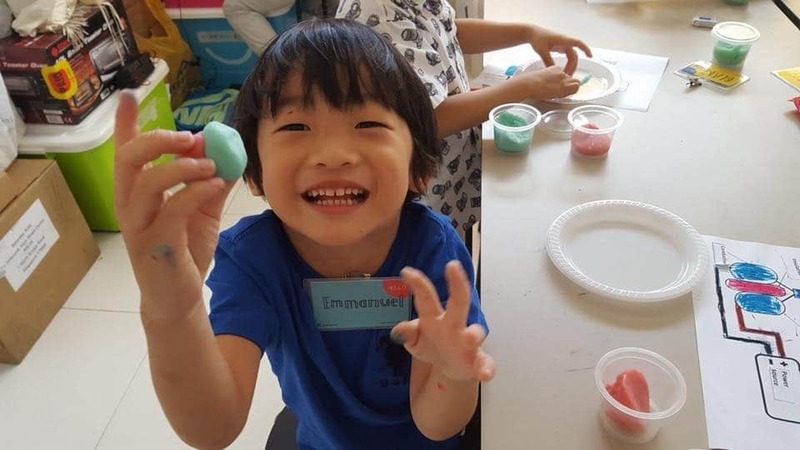 One of our newest courses for preschoolers is Curious Cubs: Explore the Wonders of Tech, led by our curriculum developer, Angelia (or Teacher Angelia as the little ones call her!). 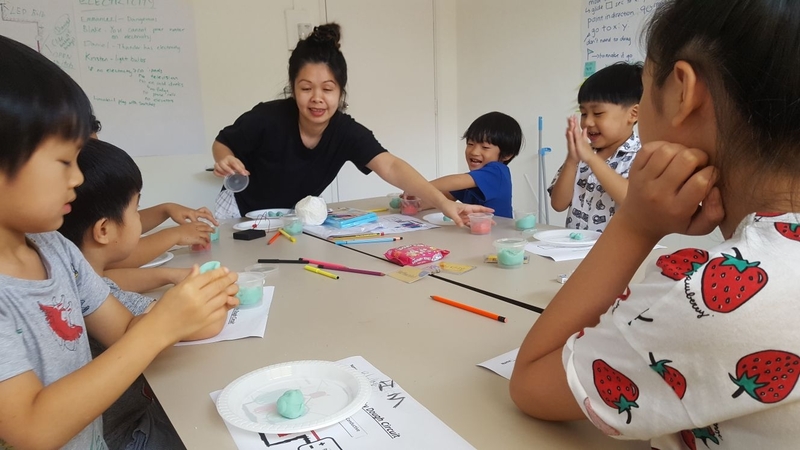 Let’s take a sneak peek of what the kids did in a shorter version of the camp during the recent March holidays and hear what Teacher Angelia has to say about her Curious Cubs! Angelia: The little ones at this age are very curious, and the whole idea is to get them to explore the different aspects of technology and for them to immerse themselves in it. I want to bring them an awareness of their surroundings, in this case, with tech. 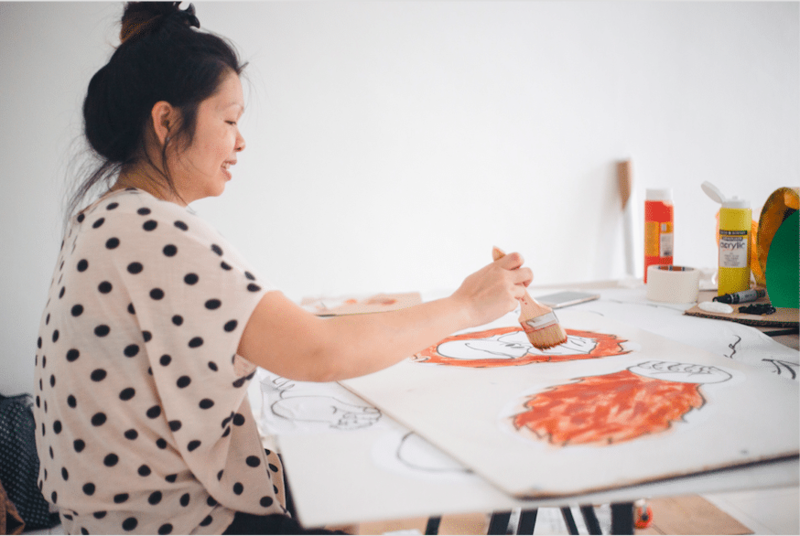 For example, pixel art – the kids see a lot of images on TV, on their iPad screens etc, and another level of awareness is getting them to think of how images are made, and what pixels are. 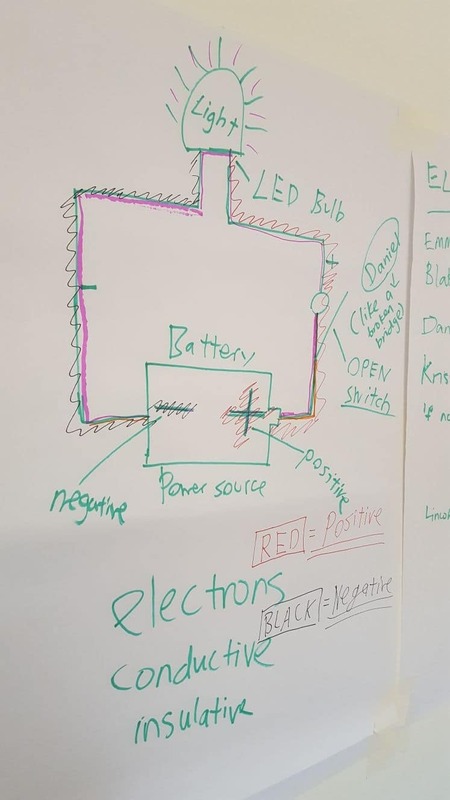 Let’s learn all about electric circuits today! Angelia: When i taught the class, the kids were so excited because these are things they can relate to, and they’re so excited to share! In the case of the Squishy Dough Circuit activity, it’s about getting the kids to be conscious of the fact that electricity is all around us. Emmanuel (5) loved playing with the squishy dough! Angelia: After the class their parents told me that their kids are so much more aware. For example, when they passed by an image, they pointed out that it’s a pixel! Ultimately the goal is to meaningfully integrate the use and application of technology into their daily lives and getting them curious and excited about it. We want them to not just be consumers of technology, but conscious users. One parent was so surprised by what her son was learning in class that she just had to share it with her friends – all of who were just as taken aback as her. Can you guess what this exercise is all about? 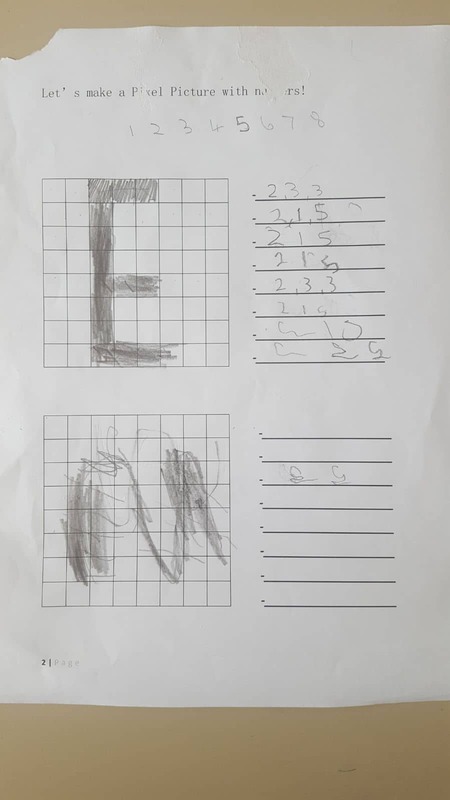 I thought it was pretty crazy that my son couldn’t even write in numerals, but could understand the pixel picture logic – it really opened my eyes to how kids understand so much more than they can express. Lincoln enjoys the class and asked if he could attend again on Friday, when the holiday class had already ended on Thursday. Thanks Angelia for being such a great instructor too, am very impressed! Coding isn’t just about apps, websites, or ones and zeros. It doesn’t even have to be entirely screen-based. Get your young ones curious about the world and explore a series of 4 immersive experiences geared at inspiring and engaging kids, developing their curiosity about tech, and building an understanding of basic computer science and electronics concepts through creative and fun projects! We’re re-introducing Curious Cubs – Explore the Wonders of Tech in a new 5-day format! Previous Post Creative Computing for the Rock Stars!